Entrepreneurial growth in Cleveland over the past decade has been an engine that's drawn aspiring business owners to the city. During that same time, the city also underwent a nearly 14 percent growth in our Hispanic population. As we look to foster a city that welcomes the nation’s growing number of Latino residents, entrepreneurial opportunities remain an area with room for improvement. With the majority of all startups already facing a five year survival rate that hovers at less than a mere 10 percent, Hispanic business owners face added challenges in an already grueling marketplace. These additional challenges include garnering access to financial resources, gaining the self-confidence to launch a business, and trying to reach a diverse audience while retaining their ethnic identities. Jenice Contreras, Executive Director of the Northeast Ohio Hispanic Chamber of Commerce and Hispanic Business Center, says that while Cleveland is making great strides in nurturing entrepreneurship, many business owners feel pressured to rebuke certain ethnic stereotypes by shedding traditional names and imagery. “Oftentimes they’re torn between embracing the authenticity of their culture but also not boxing themselves into categories,” she explains. In 2007, the most recent year for which Census Bureau statistics are available, 2.1 percent of the businesses in the City of Cleveland were Hispanic-owned. However, mixing and mingling opportunities with Young Latino Network and Vocero Latino, for example, are encouraging professionals to discover other minority-owned businesses within the community. These organizations aimed at bolstering advancement for ambitious Hispanic professionals have stepped up to offer guidance, education, and connections. Fresh Water caught up with four Hispanic business owners who are breaking out and paving the way for a new wave of leaders. Business has long been in Jose Vasquez’s blood. Faced with the buyout of the software company that had led him to move to Cleveland, it was only a matter of time before Vasquez started a venture of his own. In 2008, he launched Quéz Media Marketing, a full service digital advertising and branding agency that caters to clients throughout the region. To date, Quéz has notably worked on marketing materials for Cox Communications, Nestle and Energy Choice Ohio. By way of personal and angel investments, the company has grown to 22 employees, including a satellite office in São Paulo, Brazil. The earliest backers, Vasquez notes, were actually Irish. “It speaks to what’s possible in the Hispanic community that I was able to connect with investors from a different community who were able to see the value of what we were trying to do and supported me every step of the way,” he says. Vasquez has taken to opening doors for more entrepreneurs. He continues to serve on the board of the Hispanic Business Center, where he has spent three of his seven years as board chair. During that time, Vasquez developed the small business fundamentals training materials that are now used to coach new businesses and teaches the marketing portion of the six week class. 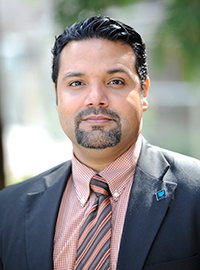 He cites the Hispanic Chamber of Commerce, JumpStart, and Council of Small Enterprises (COSE) as other invaluable and far underutilized resources that helped push him further. Last June, he helped to found the Cleveland branch of the national 1 Million Cups program, a weekly event in which business owners deliver presentations on their work followed by a Q&A session that allows them the chance to offer advice to others. In 2010, Tortilleria La Bamba was launched with a two line-machine making fresh corn tortillas in an inconspicuous factory behind the West Side Market. Today, those two-line machines have had to be upsized to four-line machines and Tortilleria La Bamba’s business is growing as fast as its tortilla production. Bamba was founded by Leticia Ortiz, who was born in Mexico and moved to Cleveland in 2000, and her husband, Jose Andrade. Cleveland’s lack of a local purveyor for the dining staple carved out a niche for the couple, who wanted to bring business home for a product that once had to be procured out of state. 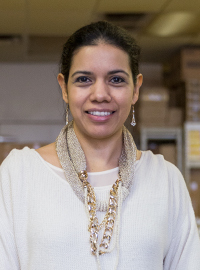 But to get the word out, Ortiz’s networking within the Hispanic community was what really kickstarted her business. Between Ortiz’s feet-to-the-pavement marketing and faithful word-of-mouth endorsement, the company has become a go-to source for restaurants such as the West Side Market’s Orale!, Don Tequila, Nuevo Acapulco, and El Jalapenos, among many others. As business continues to expand, Bamba’s next move is to add flour tortillas to their repertoire with the assistance of a small business loan. To do so, they’ll have to expand both equipment and employees this spring. “We’re trying to do our part by creating jobs, that’s why we’re adding another product. You want to be productive in your community,” she adds. Her organic, grassroots approach to building business has been successful, but she longs for a more central marketplace to find Hispanic-made products, a model that she’s seen successfully duplicated in many big cities. It’s a sentiment long shared by the nonprofit Hispanic Alliance Inc., which is spearheading a proposal to turn the densely Hispanic Clark-Fulton neighborhood into a destination for Latino goods and services. The project, La Villa Hispana, brought together CDCs and various organizations in March 2013 to draft plans for what they hope will bring new ventures that incorporate Latino elements into their business plans. For Ivan Gomez, the key to growing the Hispanic business community is offering entrepreneurs a megaphone. When he left Chicago for Cleveland with a decade of journalism experience, he saw a need for a Latino-based news source in his new city. By founding his own media company in 2008, Vocero Latino, Gomez began giving Hispanics a platform to push conversations forward and create deeper connections in the process. Gomez says he was struck by how many calls he began receiving from Hispanic-owned businesses he never knew existed. It echoes the struggle to increase visibility that he says many of the entrepreneurs face in Cleveland. “When I moved here, I saw Latinos wanting to reach out to other Latinos and realized this was a good opportunity,” Gomez says. The outlet has now amassed a social media following in the thousands for its localized news. Stories bring to light trailblazers such as Jasmin Santana, a Cleveland native who spearheaded a breast cancer education and early-detection program at MetroHealth that provides care for uninsured minority women. Vocero also covers rising organizations devoted to growing Hispanic opportunities and political events such as The Hispanic Roundtable Candidates and Issues Forum. 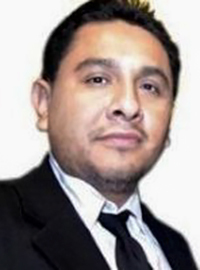 Gomez continues to extend much further than reporting to empower the Hispanic community. Last August, Vocero hosted a networking event that brought together more than 100 professionals. He says his next step is to host an international mixer. Through Vocero, Gomez’s goal is to to coax growth by bringing attention to existing businesses that may not be identified as minority-owned. Gomez explains that while hurdles do face Hispanic entrepreneurs, their growth in Cleveland is often underestimated because consumers expect to see traditional symbols, such as names, attached to a business. By telling their stories, Gomez hopes to change the narrative. Backspins and floorflips paved the way for Daisun Santana to become an international ambassador of Cleveland. Under his b-boy name BzBroox, 26-year-old Santana grew his love of breakdancing in high school into three world championship titles, NBA performances, and a role in the Nickelodeon film Fun Size. But in his hometown, he takes on a different role: teacher. At CityBreaks, his west side studio, youth pop and lock on the floors surrounded by graffiti-filled walls. This was never part of his plan. 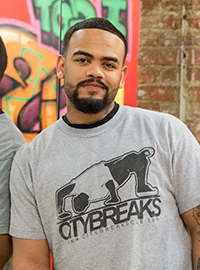 Santana, who grew up with no place for himself and his fellow breakers to practice, hadn’t considered opening his own space, especially in the Clark-Fulton neighborhood where many small businesses struggle to stay afloat. After tagging along for a visit to a then-vacant building with his brother, who was looking to possibly buy the location himself, he pooled his money earned from performing and made education his new goal. Santana didn’t have to look further than his brothers for his own inspiration. Both built their own successful businesses, Santana’s Barbershop and Santana Photography. Traveling the world only fueled Santana’s desire to invest more in his own home in the same way as his family. For Santana, using the art of dance as a tool to spark conversations makes the challenges all worthwhile. Read more articles by Nikki Delamotte. Nikki Delamotte is a freelance writer whose work has appeared in Diffuser.FM, The Grammys, Cleveland Magazine, Cleveland Scene and others.